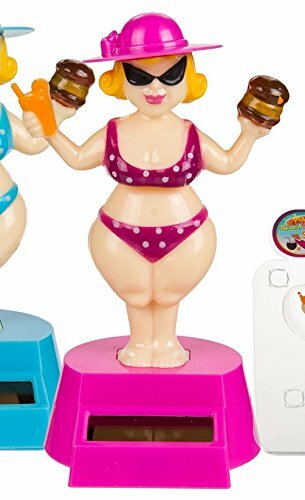 The world of Solar motion toys is a universe of incredibly creative characters inhabiting a special world of bobbing, weaving and smiling figures and figurines that make you smile and wince at the same time: Solar dancing toys. 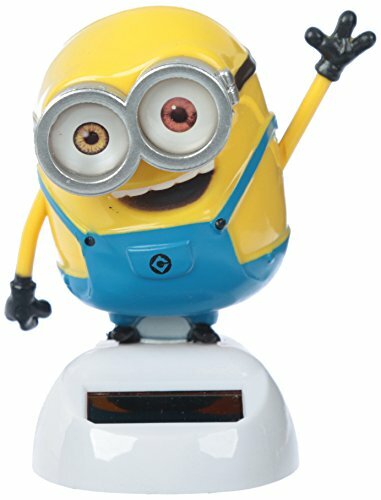 Solar powered desk toys and Solar bobble head toys are the most popular solar toys available at Walmart, Dollar Tree and Amazon. These are perpetual motion toys thanks to small solar cells built into their base units. 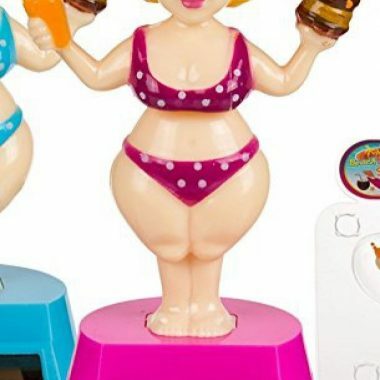 The toy you see on your left is the “Solar Powered dancing Bikini Lady“. 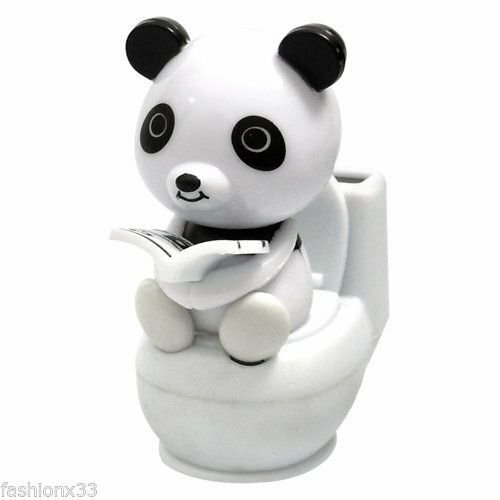 They include animal characters, comic book characters, dancing figures, cartoon characters. leprechauns, the dancing groot from “Guardians of the Galaxy” and the list goes on and on and on. 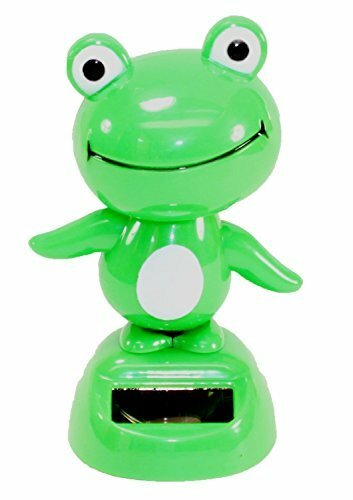 Check out Kermit the frog, though like many other solar motion toys of this kind; copyright reasons force the toy creators to call them by the lame names such as “Dancing Fun Green Frog Animal“. 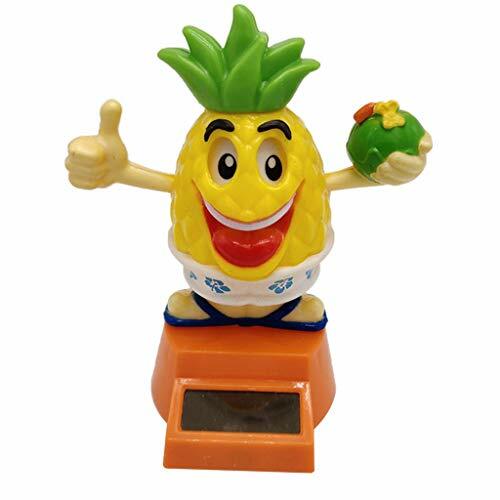 Solar Motion Toys and other solar bobble head toys are mass produced in China for the big box discount stores and are available online as well. 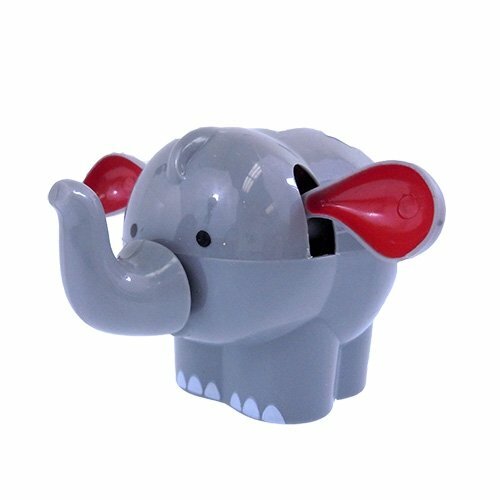 They are quirky and have their own personalities and make wonderful gifts during the holiday season and at birthdays and other kiddie related occasions; they are inexpensive, attractive and different and a super hit with kids. 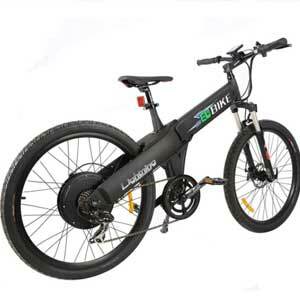 Solar Motion Toys and Solar Bobble Head Toys have become popular during the last 15 years with the rising global environmental consciousness as well as the movement towards renewable energy resources and usage. 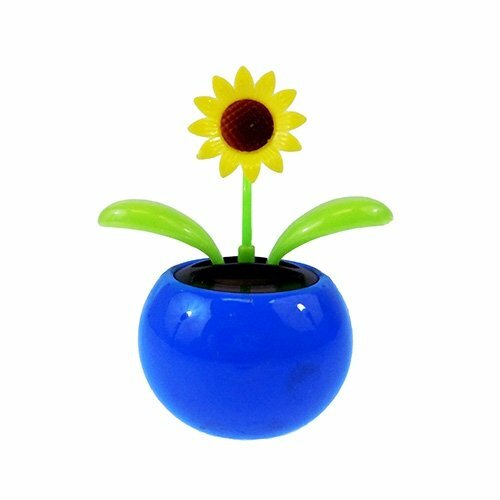 Solar powered desk toys and other solar motion toys work quite well in natural sunlight as well as in well lit internal areas. They don’t require any batteries and if kept well can last for years on end. Of course the solar cells that power these toys degrade over time, but they should work well for at least 4 to 5 years without trouble. 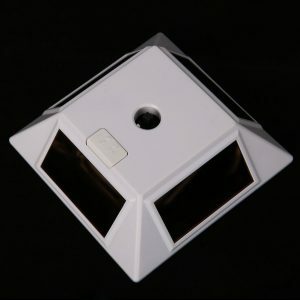 And we have some new arrivals in our solar toy gallery. These are especially great for that lonely office desk. 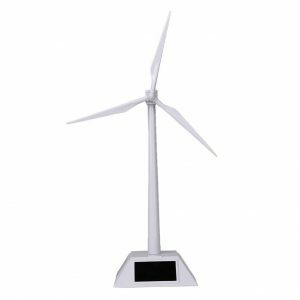 The first new arrival is a solar windmill. The gleaming white blades rotate at a sprightly pace. There are three long blades that slice through the air generating a slight draft, but you won’t be able to use it as a cool aid for sure. embedded into the base unit on all four sides. 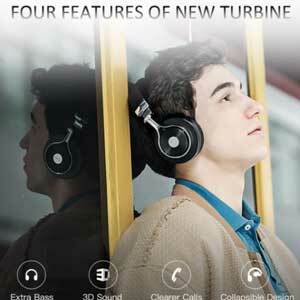 The black and white contrast give the unit a gleaming high tech look. 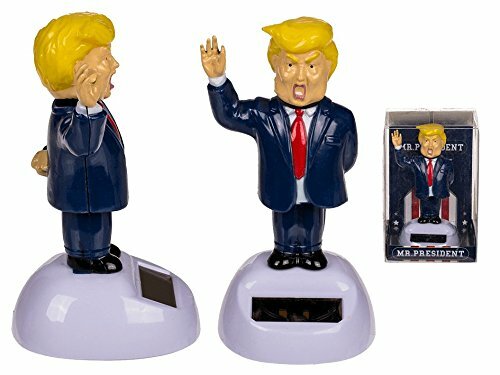 This will definitely look at home on your office desk. 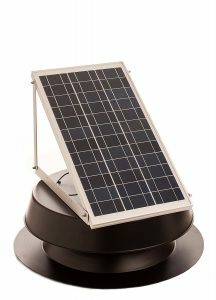 This signature solar toy on your desk will be your ringing endorsement for solar and the environment. The second new solar powered toy for the office desk is this Grandpa and Grandma unit. 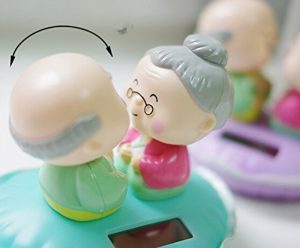 There is no better way to show your love and appreciation for family and your parents and your grandparents than this super cute kissing couple solar toy. Grandma is stylish and has the latest style of reading glasses. Grandpa is a very fashionable too and has a perfectly manicured pate. The clothes are a dainty match and the two of them bob and weave their way into your hearts. 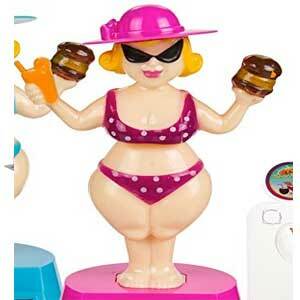 Certainly a family oriented solar powered desk toy. Both these latest additions to the solar toy gallery are full of energy and have super unique personalities. 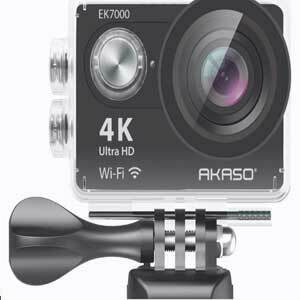 Go explore these and more toys in the following posts and articles. 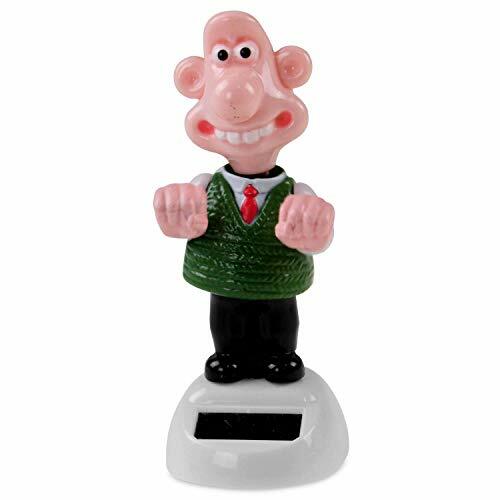 The Amazon market place has one of the widest selection of solar motion toys as well as solar powered desk toys and solar bobble toys. 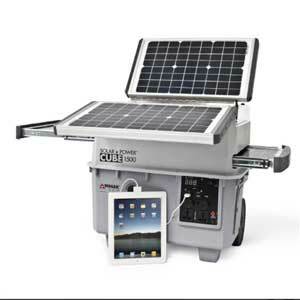 Here are some of the most popular Solar Motion toys available in the world’s largest store. Add The President to any sun lit area and watch him bobble. 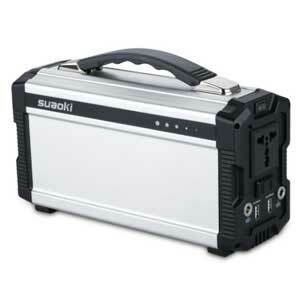 Environmental protection - No battery needed and make great gifts. 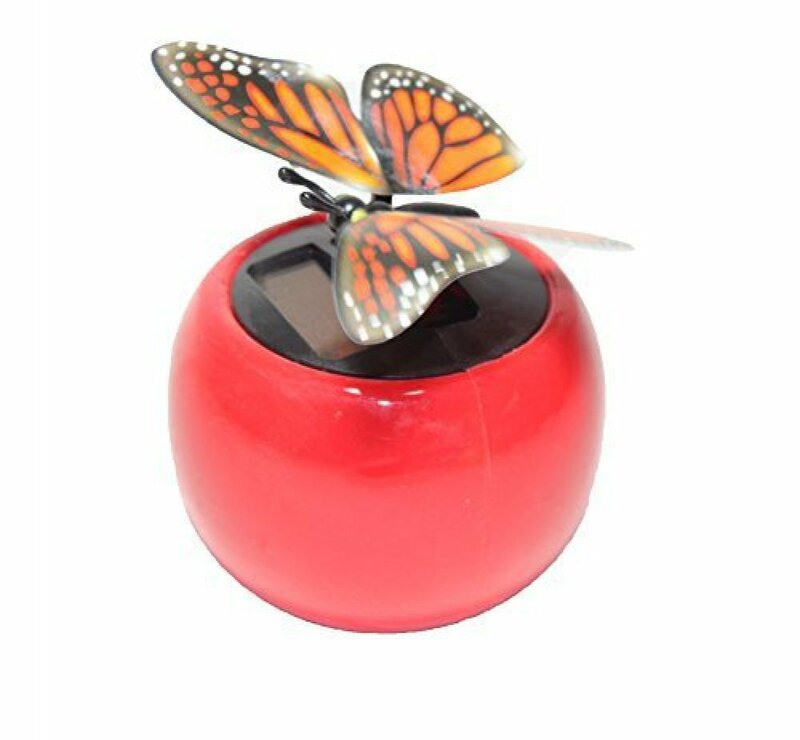 Solar Powered,place in a bright or sunny place and watch them dance. Set of 4 Assorted Dancing Toys no Duplicate. 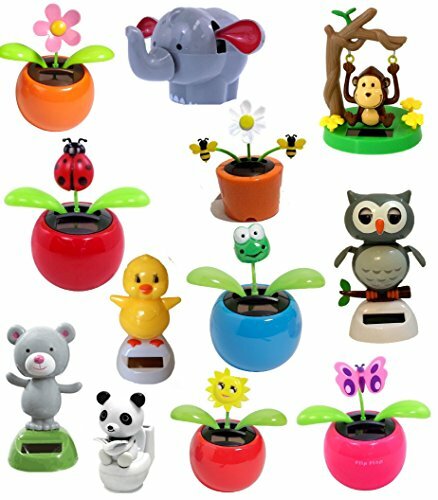 Solar Toys may include Swing Monkey, Daisy Flower, Butterfly, Sunflower, Dancing Owl, Elephant and more! Colors may vary! Awesome decoration for office desk, window, and car dashboard. Unique gift for colleagues, friends and family. Amazing Bundle Value! Eco-friendly. Batteries are not needed. Hassle-free. 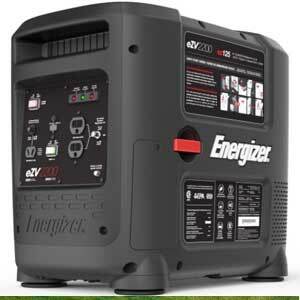 Material: Durable Plastic Comply with Consumer Product Safety Commission requirements. 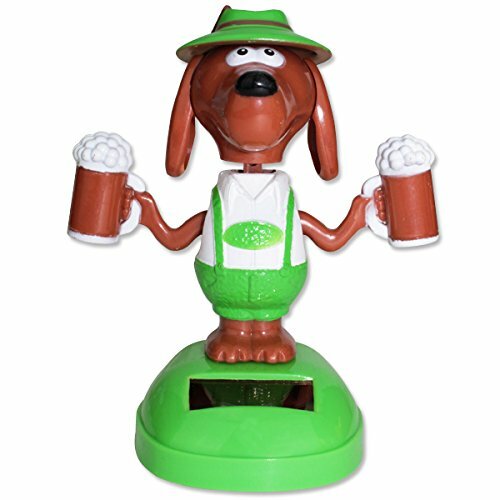 Collectable Licensed Solar Powered Pal - Gromit. 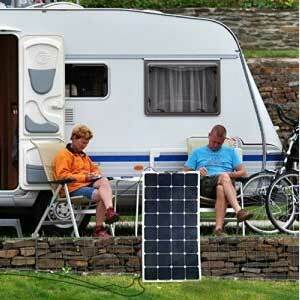 Our range of solar pals a perfect gift for all the family. Made from plastic they have a built in solar panel that does not need batteries they just need a sunny window sill to get them dancing and waving. With the range of designs available there is something for everyone. They are not a toy but are CE marked due to small parts. 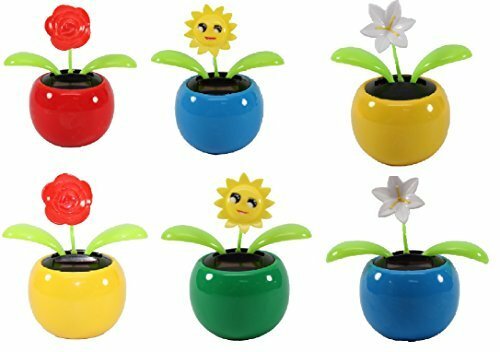 Set of 6 Dancing Flowers! Flowers as seen in picture:2 Roses + 2 Smiley Sunflowers + 2 Lily in Assorted Color Pots . Pot colors may vary! 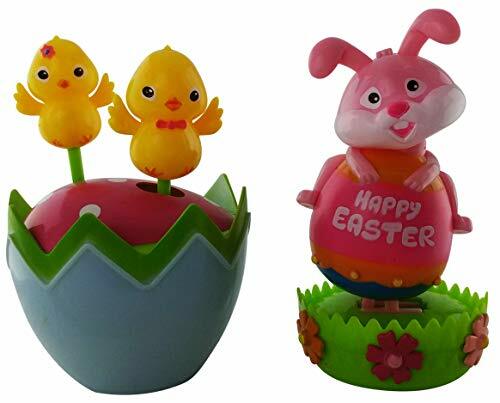 Bring complete amusement this Easter and Spring with these unbelievably cute solar dancing figures. The Bunny and Baby Chickens each are lovely characters and they have their own personally designed moves. Enjoy cool solar bobble figures. The bunny has hopped on an egg that says Happy Easter is holding on as the egg sways side to side. The Chicks or peeps sway side to side in the newly hatched egg. Just set in a sunny place and watch them move! 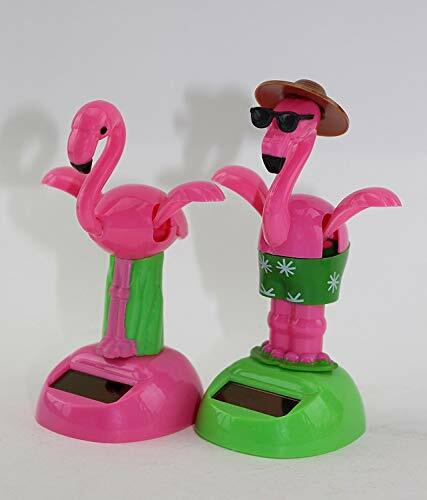 The animal solar powered dancing figures are a great addition to your dancer collection, home decorations, your window sill, desk, car dashboard or counter. Simple operation: the solar powered dancing toys get moving when their solar strip is exposed to light, the egg sways and chicks, move, teeter and sway. 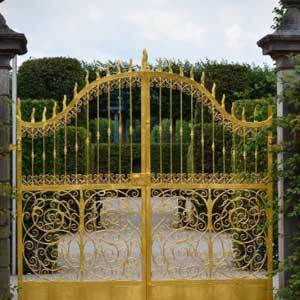 They measure in size about 4 ½ inches tall and 3 inches wide by 2.5 inches deep. With their funny appearance, these dancing solar figures are great for kids and adults. Buy for any generation, even the elderly will love them! A fun and happy green frog to cheer up your day!! Eco-friendly. Batteries are not needed. Hassle-free. Comes with non-slip double sided tape. Solar Motion Toys seem to be a big hit. I have had a dozen requests for new reviews for the latest editions of the new delicately bobbing and weaving creatures that inhabit solar motion toy land. You can check out these delicious creations at Walmart, Dollar Tree and Amazon. All of these solar motion toys are perpetual motion toys thanks to small solar cells built into their base units. 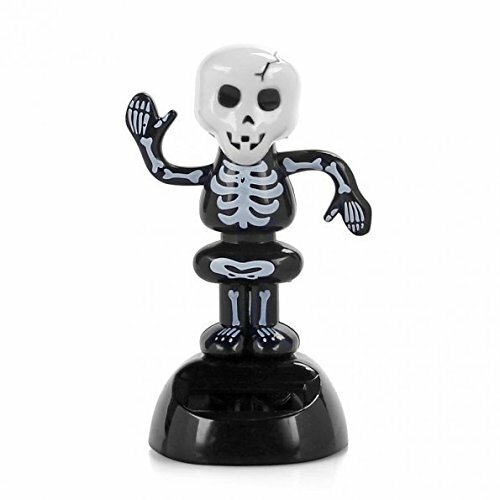 The toy you see on your left is the “Gruesome Togoo Skeleton” and as you can see its got some attitude and it demands your attention right now. These beautiful creatures bring comfort and solace to children and adults alike. The wonder of perpetual motion, their style and energy keep adult and child captivated for hours. They make great car toys as well as mantel piece curious. They include animal characters, comic book characters, dancing figures, cartoon characters. leprechauns, the dancing groot from “Guardians of the Galaxy” and the list goes on and on and on. 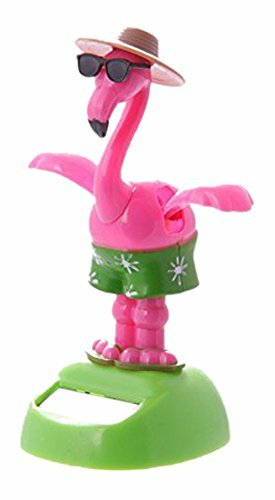 Check out this Dancing Flamingo, he’s ready to party through the night. And for you nature loving souls, this beautiful Flapping Butterfly is sure to excite you. I have spent many a lazy afternoon with my beautiful butterfly pal staring at the blue sky while my pal flaps those wings and soars to eternity. 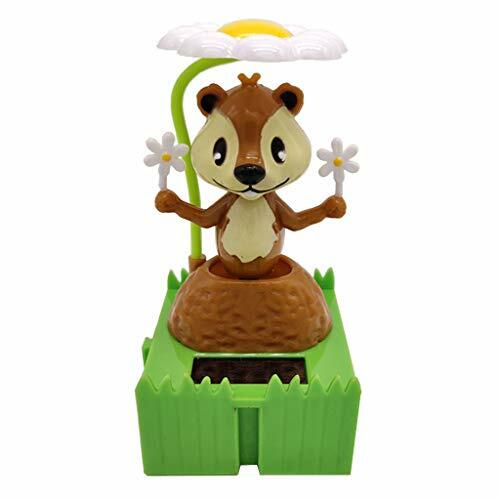 Solar Motion Toys and other solar bobble head toys are mass produced in China for the big box discount stores and are available online as well. 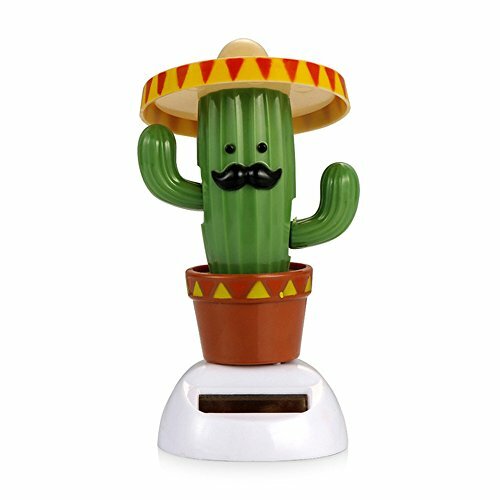 They are quirky and have their own personalities and make wonderful gifts during the holiday season and at birthdays and other kiddie related occasions; they are inexpensive, attractive and different and a super hit with kids. Measurements: 4.5" (H) x 3.5" (L) x 2.2" (W) approx. Shaking arms and head when light is directed at the solar strip Eco-friendly. Batteries are not needed. Hassle-free. 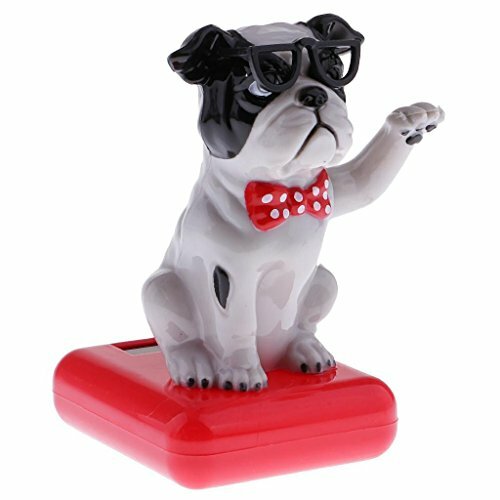 The head can sway the lovely ornamental dog, handmade, the image is realistic and the person, do not use the battery, do not use the solar energy, the real environmental protection shakes the dog, one has the wind to shake the head or the head nod! 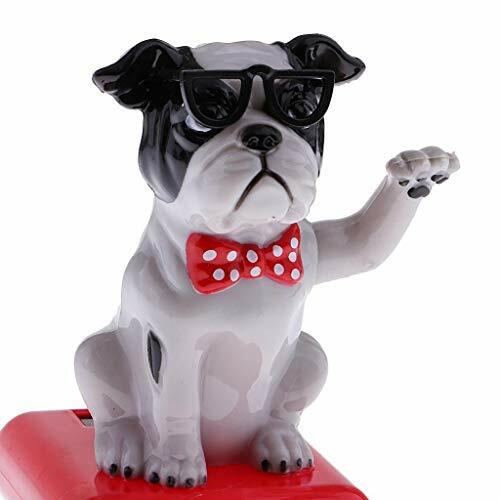 Its Eco-Friendly and does not require batteries - the slightest vibration or touch will move the dogs bobble head around,cute gift for your cars. 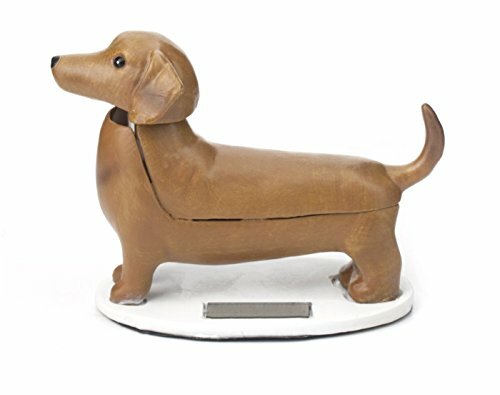 Daschund companion for the solar queen. 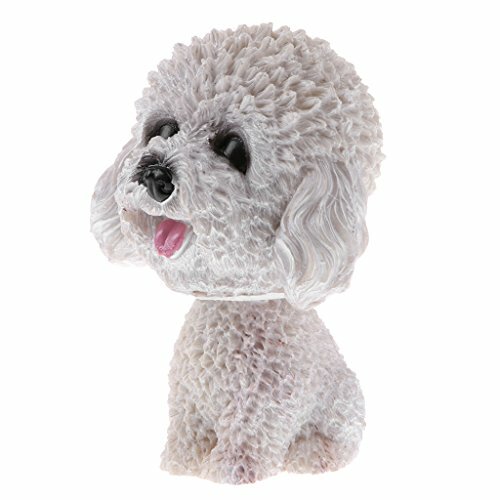 Give this pup a sunny spot and watch him greet you with his bobbing head! 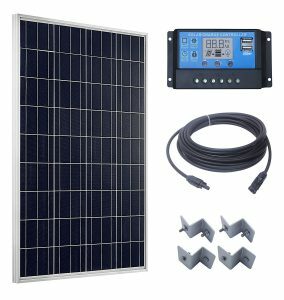 Solar power by any bright light and ornament for car dashboard, window or desk decoration. 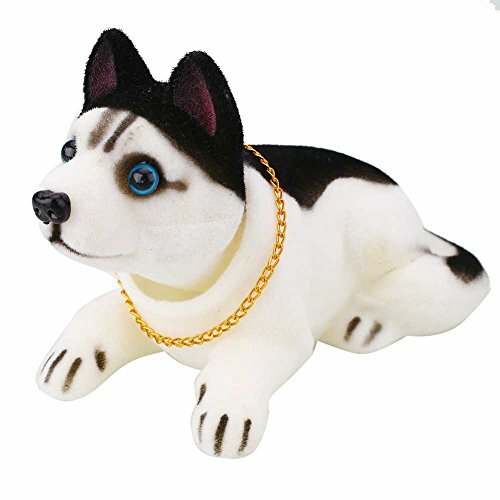 No batteries required, does not use solar energy, a Eco-friendly bobble head dog, the slightest vibration or touch will move the dogs head around. Thanks for the information I was on the lookout for this. Lovely selection. Kids love these bobbles. Thanks for curating the selection. Keep writing. This is good stuff. Keep it up. I will come back for more. 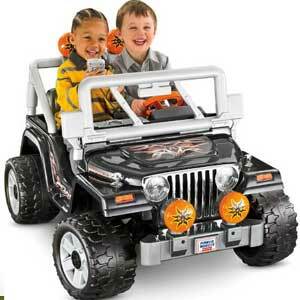 Thank you very much for the great selection of solar motion toys. Good reading. I am glad you liked it. 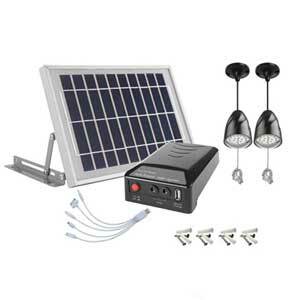 There is more to read at http://www.mysolarhome.us as well. 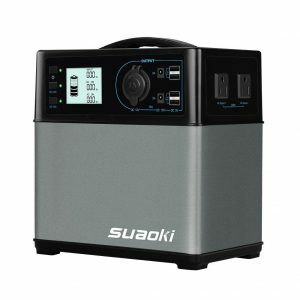 Good write up, want to do one on our products? Yes, I can certainly do a review.